Legitimus law firm was founded in 2006. The team includes 14 lawyers, who have considerable experience in various fields of legal practice. Its main principles are professionalism, efficiency, honesty and confidentiality. The principal practice areas of Legitimus include real estate and land law, banking and finance, litigation and arbitration, corporate and M&A, taxation and international trade/foreign investment. Legitimus law firm provides full legal support in real estate transactions in the interest of the company’s clients, including drafting of agreements with respect to real estate and land deals: advising on the safest ways of acquiring and alienation of real estate rights, support for land plots allotment and ownership rights registration procedures, ownership rights registration procedures for other real estate objects. Our team has a solid litigation experience in courts of first instance, courts of appeal, higher commercial court, higher administrative court and the Supreme Court of Ukraine. In order to provide comprehensive case analysis the company’s attorneys perform a preliminary case review and assess the court prospects of commercial, administrative and civil proceedings, represent and protect the clients interests both in state courts of all instances and international arbitration instructions. Legitimus law firm advises and provides legal opinions as to legal entities and individuals taxation in Ukraine, carries out legal analysis of drafts agreements in terms of tax liabilities, develops efficient tax schemes for the business activities of companies. The company represents both legal and individual interests at all stages of tax dispute resolution (reviews, litigations). Our firm provides a range of services in the field of corporate law which includes registration of legal entities, compliance with regulatory requirements following antimonopoly law while establishing and structuring holding companies, etc. 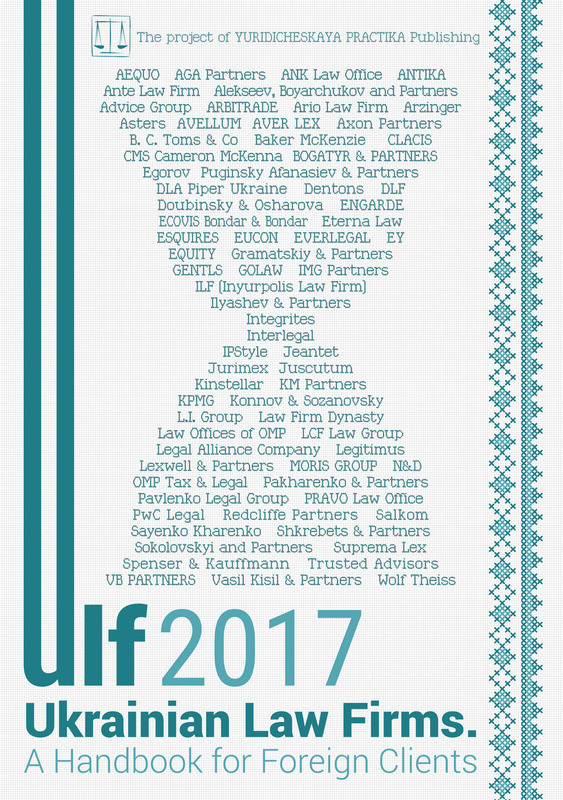 Full legal support of M&A deals, companies legal due diligence and drawing up documents to eliminate and minimize risks and deficiencies; M&A support in compliance with Ukrainian and foreign tax and corporate law, legal support in preventing hostile acquisitions, majority and minority shareholders rights protection, financial institutions registration and financial services licensing support. Legitimus law firm offers legal advice to residents on international business activities, and to non-residents on commercial activity in Ukraine. Our clients include domestic and international companies, investment funds, financial institutions and others. bodies on all existing offshore businesses. In order to increase control, countries around the world gradually supplement their legislation with new requirements to law firms, banks and other financial institutions. Registries of final beneficiaries of companies are created, followed by disclosure of such information to financial monitoring authorities. Credit and financial institutions around the world have already started collecting information within the framework of automatic exchange of tax information. The world is rapidly changing towards deoffshorization and seeks transparency. In light of recent trends international business is forced to look for new schemes that will enable adaptation to new rules of the game. And while in the past one had to pursue answers to “How not to pay taxes?” nowadays the urgent question is “Where is it profitable to pay taxes?”. What is Pushing Business to Transparency? Ukraine joined the BEPS plan (Action Plan on Base Erosion and Profit Shifting) implementation program from 2017, which was proposed by the OECD (Organization for Economic Co-operation and Development). Measures stipulated in the plan are aimed at withstanding schemes of tax burden optimization. The main objectives of this policy are: fiscal transparency, implementation of “deoffshore” standards in entrepreneurship, globalization of automatic exchange of tax information, etc. By joining the plan Ukraine made a commitment to take efforts to implement these principles into national legislation. It is not yet fully clear how it will work in our country, but one thing is certain, namely that we expect fundamental changes in legislation on relations with non-residents, and it is desirable to be prepared in advance for them. Introduction of transfer pricing regulations was the first step taken by Ukraine towards “deoffshorization”. After the accession of Ukraine to BEPS plan, the next steps are likely to be: accession to automatic exchange of tax information and implementation of CFC rules (Controlled Foreign Companies rules). Let’s try to understand the basic principles of these procedures and their effects on business. Exchange of information between banks and tax authorities of countries that acceded to the AEOI agreement (Automatic Exchange of Information) from 2017. This Agreement was signed by a number of countries — OECD members, including the USA, EU countries, and classic offshores: British Virgin Islands, Panama, Seychelles and others. The Agreement provides collection of information about their customers by financial institutions and its submission to the tax authorities. Such information shall include information on investment income (dividends, interests, income from insurance contracts and sales of financial assets, real estate), balance of funds in bank accounts, beneficiaries of trusts, shareholders of companies, etc. It is not yet known whether Ukraine will be among these countries, but given the announced course for deoffshorization one should prepare for the fact that Ukraine will accede to the Agreement, after which fiscal bodies will be able to obtain information from other countries about accounts opened by Ukrainian residents, identify associated persons and possible violations of currency legislation. There is a high probability that simultaneously with the start of automatic exchange of information under the CRS standard (Common Reporting Standard), Ukraine will introduce CFC rules (Controlled Foreign Companies rules). The corresponding Draft Law On Amendments to the Tax Code of Ukraine to Prevent Tax Base Erosion and Profits Shifting Offshore awaits consideration in Parliament now. If adopted, residents of Ukraine, owners of controlled foreign companies, will have to report to regulatory authorities about such companies and their income. Restrictions may affect foreign companies with income from source of origin in Ukraine. State financial control will check whether such companies are actual beneficiaries of profits gained, or whether they are not nominal (verification of office existence and of actual costs for its maintenance, availability of employees, etc.). CFC rules actually stipulate that the tax residency of a foreign company shall be given the same status as the tax residency of directors, authorized persons and beneficiaries who manage it in practice. There is a good chance that automatic exchange of information and CFC rules will be implemented in Ukraine simultaneously. Therefore, when information about beneficial owners of foreign companies becomes available for state bodies, they will have every reason to increase the tax burden for such persons. The world becomes more transparent, information more available and there is a desire to know beneficial owners in person. It is better to start getting ready for global changes related to international deoffshorization now. Sometimes a reasonable solution for beneficiaries is getting tax resident status in other, more attractive jurisdictions. But one thing is obvious, one will still have to pay taxes somewhere. Due to the new business environment, tax residency of the final owner, a physical person, becomes one of the key factors that will determine the future of your business. Tax residency is a legal bond determining under which legislation and in the territory of which state a person must pay taxes. Note: tax residency and citizenship are different legal statuses that may not coincide. If a person lives in different jurisdictions or he/she has citizenship of different countries, it is necessary to precisely understand a tax resident of which country he/she is and where he/she is obliged to pay taxes. This is due to the fact that after introduction of automatic exchange of information under the CRS standard, the bank, where an account is opened, will exchange data not with all tax authorities of the world, but only with those countries in which the customer has tax residency status. Therefore, it will be tax residency that shall be the criteria for determining which state personal data will be transferred to. Thus, definition of tax residency of a beneficiary owner requires special consideration when structuring a business. Each state has its own laws, under which it determines whether a physical person is its tax resident. For example, the Tax Code of Ukraine (cl.14.1.213) states that “a resident is a physical person that has a place of residence in Ukraine”. The critical factor in determining tax residency is the place of permanent residence and personal or economic relations (center of vital interests). If it is difficult to determine the center of vital interests, then a person will be considered to be a resident of Ukraine in case he/she stays in Ukraine at least for 183 days (including days of arrival and departure) during a period or periods of a tax year. And if this factor is also uncertain, then citizenship prevails. It should be noted that there are many countries providing favorable conditions for business persons in the form of tax exemptions and convenient programs for acquiring the status of a tax resident. However, every country has a number of features that determine whether any given person is a resident. It is important to understand that the status of a tax resident of another state does not mean termination of tax residency in Ukraine. To lose the status of a resident of Ukraine it is required not to stay in its territory for more than 183 days and have no close personal or economic relations with the country. Otherwise, there is a risk that the person may be considered a tax resident of several countries simultaneously. To summarize the above, it can be affirmed that the world continues its development on the path of economic and political globalization. The processes taking place are the basis for transition to a new level of tax cooperation between members of the international community. We are on the threshold of global changes aimed at making business transparent and open. To be one step ahead, it is important to find one’s way in a timely manner and to readjust to new ways. We still have time to prepare business structures for modern conditions: carry out an inventory of the use of companies and accounts, detect risks for beneficiaries, perhaps transfer companies to other jurisdictions or restructure assets so as not to be afraid of information disclosure. Deoffshorization is spreading globally. Start planning your work now.